Indie Teepee brings people together through their love of song and art – breaking down barriers and providing a haven for music genres like indie, alternative, rock, electronic dance music and hip-hop. The Indie Teepee of 2017 dares Second Life residents to dream of and thrive in worlds that are possibly to come. 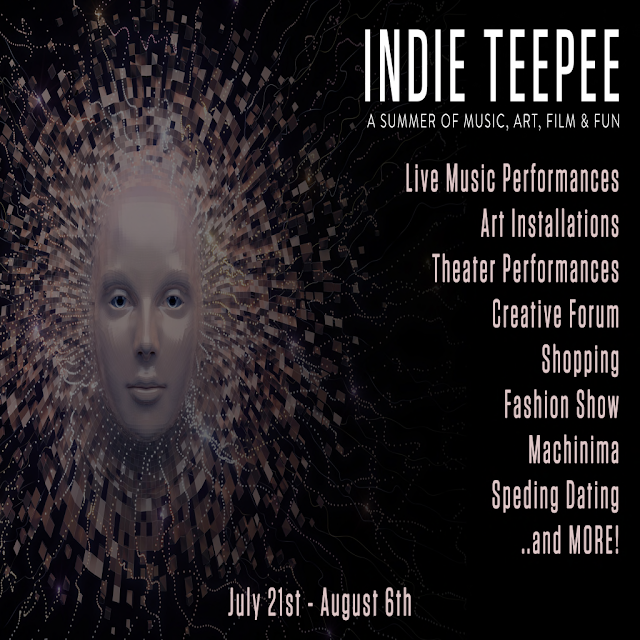 While again welcoming live music performances, original mesh designs and the creative forum, Indie Teepee also looks forward to introducing fun, new attractions, such as performance art and social activities. In this home, there are no strangers, just friends you haven’t met yet.